Person following by mobile robots in unconstrained environments has not been yet successfully solved, and new approaches to tackle this problem need to be developed. 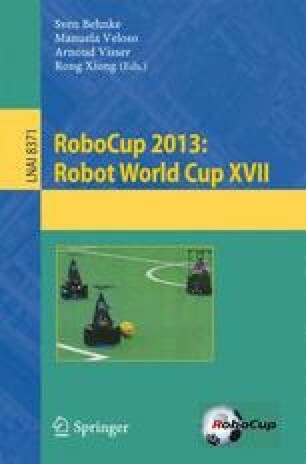 The main goal of this article is to analyze the use of state-of-the-art computer vision methods for human detection and tracking when a robot is trying to follow a person. The methods were selected taking into account their accuracy in previous studies as well as being real-time or near real-time. Thus, tracking based on a HOG person detector, tracking-by-detection with Kernels and compressive tracking were analyzed and compared to methods based on the use of Kinect and laser sensors using a database built specifically for this purpose. The database was captured using a service robot, and it considers real-world conditions. The results show that the vision-based methods are much more robust for tracking purposes than standard range-based methods used by the robotics community, although being slower.